A brand new London-based minicab and taxi business called ‘miwhip’ has launched in spectacular fashion, by introducing five gold-wrapped supercars as their taxi cars available for hire. 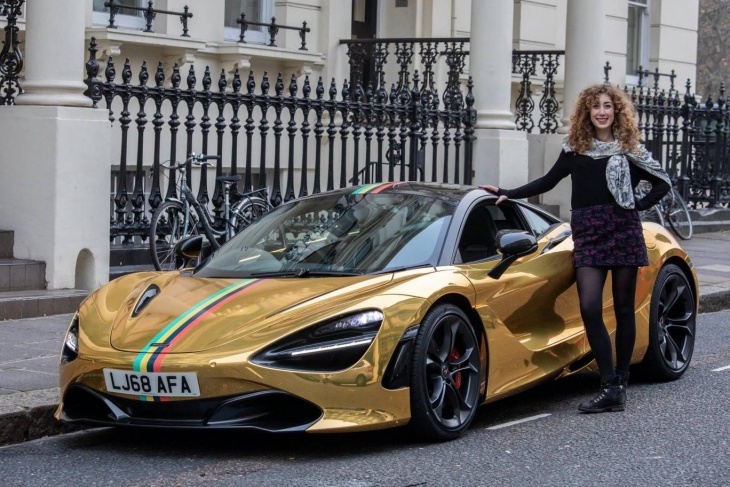 As long as you download the app, some lucky users will have the option of being picked up by a head turning gold supercar, that includes the likes of a Ferrari, Lamborghini, McLaren and two large Rolls Royces. The company initially launched with 5 supercars and totalled approximately £1.5 million in costs, however, as the business grows, they plan on purchasing more luxury supercars in order to make the business a very unique and rare experience for it’s users. In fact, it has already stated for for every 100th journey booked through the app, a special supercar will be used for a journey, at no extra cost. Due to the standout and eye-catching nature of the cars on display, their promotional campaigns have certainly not gone unnoticed. Here is a collection of pictures that show the fleet as they travelled across London.